M4R to MP3 Converter - How to convert music between M4R, MP3 on Mac or Windows? Guide on how to convert, merge, split, clip M4R, MP3 files, adjust quality and volume easily. I can turn MP3 to M4R but how can I do it backwards? How to make iPhone ringtone M4R file compatible with other phones, like BlackBerry, Samsung Galaxy? How to convert a sound that is in M4R to MP3? You may have created ringtones for your iPhone with iTunes by converting various music formats to M4R. However, how to change the M4R format ringtone back to MP3 so that iTunes views it as a music file? If you are seeking a way to convert M4R to MP3, this is the guide for you. This article will show you the best way to convert M4R to MP3 to change iPhone ringtone files back to standard MP3 and the ideal M4R to MP3 Converter - Bigasoft Audio Converter. Why do we choose Bigasoft Audio Converter to convert M4R to MP3? M4R to MP3 conversion tool, Bigasoft Audio Converter, helps you to convert iTunes M4R audio to MP3 or other audio formats, such as WAV, 3GA, AAC, M4A, WMA, OGG, etc. Its powerful encoding and decoding ability will guarantee a fast, successful and high quality conversion between almost any audio formats. There are two different versions for Windows and Mac users separately. And the two versions are fully compatible with the latest OS. 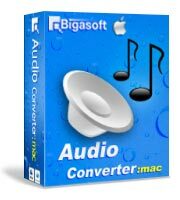 Feel free to download Bigasoft Audio Converter. Convert M4R to any music format, including MP3, WAV, 3GA, AAC, M4A, WMA, OGG, etc. Convert any audio and video file to MP3 with high quality, such as MP4 to MP3, VOB to MP3, M4P to MP3, M4B to MP3, etc. Rip MP3 music from online YouTube video. Merge, split, cut, adjust audio volume, quality of M4R, MP3 files easily. Supports various media devices, smart phones, tablets including iPod, iPhone, iPad, Samsung, HTC, BlackBerry, Zune, PSP, Windows Surface, etc. 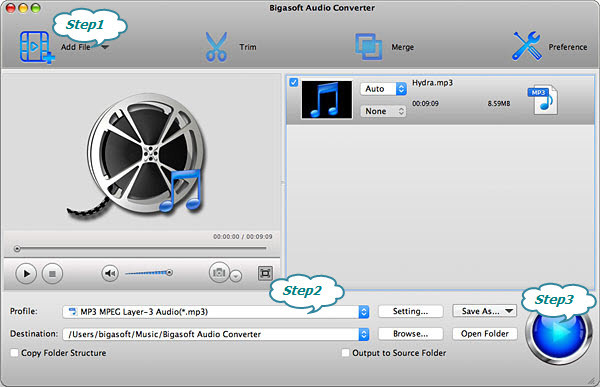 Drag and drop the .m4r ringtone file to the main interface of Bigasoft Audio Converter, or click "Add File" to choose M4R which you want to convert to MP3. Click "Profile" to choose "MP3 MPEG Layer-3 Audio (*.mp3)" from the "General Audio" category. After all the above settings are done, click the big "Convert" button at the right bottom side to start the conversion. After a few seconds, the M4R to MP3 Conversion will complete. Want to try more features of Bigasoft Audio Converter? Trying to adjust bitrate, volume or download YouTube to MP3? Just download to have a try.